Put the printer in heat mode to get the nozzle up to the correct temperature. Don’t touch the nozzle – it’s 220 degrees C.
Remove filament from the top of the print head. Don’t touch the nozzle. It’s hot. Let the filament ooze through the nozzle for a bit. Did we say the nozzle is hot? Poke the cleaning tool in at the top and push out any filament. I did this, and the cleaning tool went quite deep into the print head, almost to the nozzle. Then I pulled the cleaning tool out, and as I did so, I realised something had gone wrong. It felt like filament had been pulled out with the cleaning tool. I tried poking the cleaning tool in again, and it wouldn’t go. I guessed that the filament had solidified on the top of the metal part of the print head. As expected, I’m not the first to experience problems like this. Here is a video, (with no sound), showing how to dismantle the print feeder, to get at the print head. 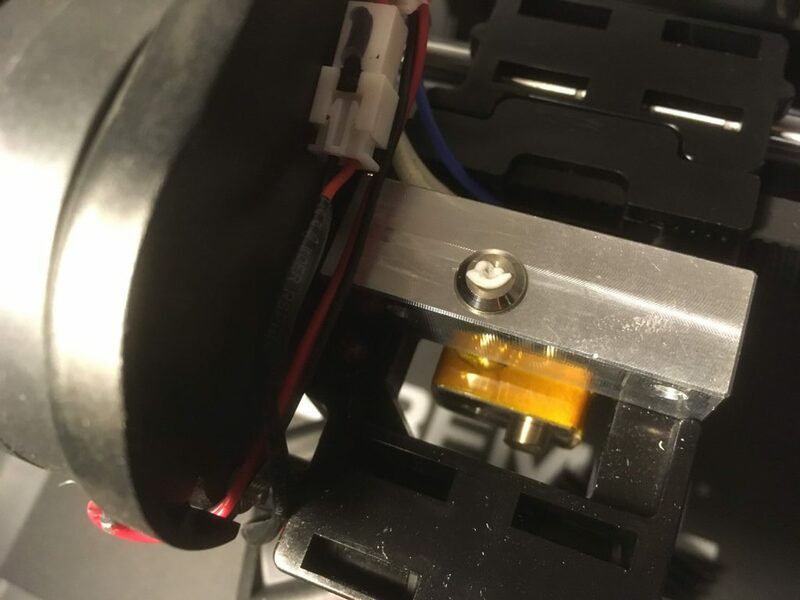 Be careful not to loose the nylon spacers behind the heat-sink, behind the fan. Photo showing my blocked print head (looking down on the steel print head). The blob of filament is white. With filament back in the machine, a print job could be started. The results are shown below, and I’ll talk more about it in the next post. 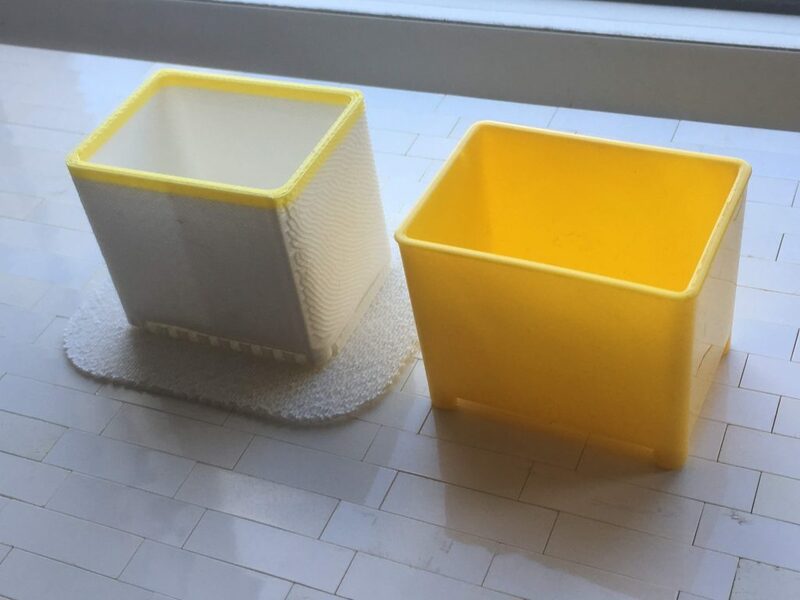 3D printed version on the left in white. Original (injection-moulded ABS) on the right in yellow.